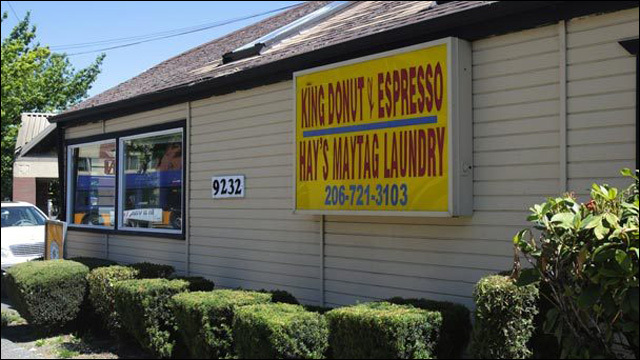 Some disturbing news out of Seattle... Late last week, the founders of King Donuts, a popular donut shop, restaurant and laundromat in Rainier Beach, were brutally beaten and robbed outside the store. Loved ones have set up an online fundraiser to help cover the victims' extensive medical costs. 61-year-old Chea Pol was closing up the shop and getting into her car on Friday night when a man ran up, grabbed her purse, and punched her repeatedly in the face. When her husband, Heng Hay, ran over to intervene, the suspect punched him in the face and threw him to the ground, before running off with the purse. Chea Pol was apparently beaten so hard, her teeth were punched back toward her throat. Their daughter Davie Hay, who now owns the restaurant with her sister, Channa Hay, said her parents had just locked up at 7:15 p.m. Friday when a man ran up to her mother, Chea Pol, as she was getting into their car. He grabbed her purse and started punching her in the face, the daughter said. Chea Pol's husband, Heng Hay, ran over to help, but was punched and thrown onto the sidewalk, Davie Hay said. The robber then continued to punch Pol, 61. "He punched her 10 to 15 times ... so hard her teeth were punched back toward her throat," she said. Davie Hay said her mom was taken first to Highline Medical Center, then to Harborview Medical Center, with a dislocated jaw. "I couldn't look at my mom laying up in the hospital like that," she said. "I was sad, and angry and in disbelief that someone did that. After nearly 30 years of being here, that someone decided to come and do that." The suspect is described as a slim black man in his 20s to 30s, about 5-foot-7, who was last seen wearing a black jacket, black pants and a black baseball hat. Anyone with information is asked to call 206-684-5540. The assailant stole an estimated $20,00 worth of valuables, including cash, an iPhone, an iPad, a star pendant with 16 small diamonds and a cream-colored Coach purse with light pink trim on top. Meanwhile, the victims' daughter, Davie Hay, has started a GodFundMe page to help pay for medical costs. 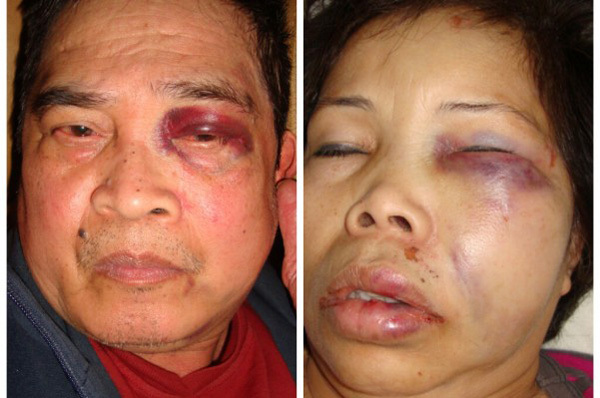 January 2nd, my parents were brutally beaten and robbed at our donut shop in Rainier Beach. Both of my parents were admitted. My mom's teeth were punched in and my father's face was beaten badly. We are starting a fundraiser to help with medical costs. If you are able to, we would greatly appreciate any type of help with this truly unexpected event. I thank you all for the love and support. We love you all.